Pretty and small ceramic trinket box, with a metal hinge and bow detail closure. 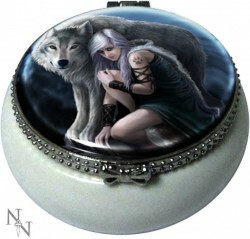 Protector designed lid, by Anne Stokes. Showing the popular wolf design.